Natural colored diamonds were formed several billion years ago, deep beneath the earth. A combination of extremely high temperatures and unusual pressure caused carbon atoms to crystallize, growing into beautiful stones within the rocks. Then, as magma formed and was put under great pressure, these dazzling diamonds were pushed upwards towards the surface. While diamonds are an astonishing phenomenon in their own right, it takes unusual circumstances to produce gems with color. Specifically, impurities must be trapped within the crystal structure to achieve remarkable hues like green, pink, blue and orange. For centuries, people have been seeking out these stunning and highly valuable stones. A vast majority of them come from the famous Argyle diamond mine. A group of geologists who were exploring Australia's rugged Kimberley region in 1979 found a diamond, a discovery that led to Rio Tinto's opening of the Argyle Mine in 1983. Experts were confident that there were more diamonds where that gem came from. Since then, an awe-inspiring amount of diamonds have been unearthed here, and today, it is one of the most technologically advanced mines across the globe. While colored diamonds have been found in other regions such as Africa and Brazil, the Argyle Mine is the only one that has produced such a reliable and consistent supply of stones. More specifically, The Argyle diamond mine is the world's largest supplier of natural pink and brown diamonds. Argyle Diamonds come by their name rightly: they're from the specific Argyle mine in Western Australia. Though some of the diamonds from Argyle are pink, not all of them are, as pink diamonds are very rare. In a certain sense, the Argyle name is a brand name. They've even developed their own grading report for pink diamonds and a unique color chart for other Fancy diamonds. If you're looking for the most beautiful pink diamond for your money, a non branded pink is your best bet. If you're interested in a long term family heirloom, an argyle diamond may be better, as it's more rare and valuable. The unique composition of Argyle diamonds is attributed to a volcanic pipe, commonly known as the Argyle pipe, made of olivine lamproite. Due to an eruption, minerals such as zeolite, micas, kaolinite and clays interacted with the diamonds during their formation. Most Argyle diamonds contain small amounts of nitrogen impurities, but the majority of their color is tied to structural defects of the crystal lattice. While the 4Cs (color, clarity, cut and carat) pertain to Argyle diamonds as much they do to other diamonds, the Argyle company has devised their own system of grading color. The pink diamonds are divided into four categories: PP (Purplish Pink), P (Pink), PR (Pink Rose) and PC (Pink Champagne). Then, the diamonds are graded based on their color intensity. This ranges from 1 (the highest) to 9 (the lowest). The Argyle pink diamonds found in the mine are usually more of a bubblegum-like pink tone with an excellent appearance. Red, however, is the rarest color of Argyle diamond. The Argyle mine supplies over 90% of the world's quality pink diamonds. 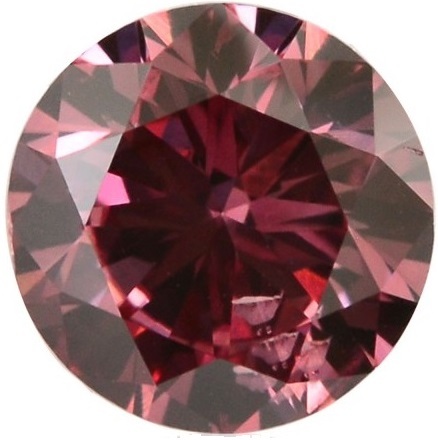 That being said, only one in every two and a half million tons of ore processed in the mine contains a pink diamond, fewer than 1 percent of the diamonds found at the Argyle mine are graded this color. As such, pink diamonds can often command prices at auction far exceeding those of white diamonds several times larger. Over the past few years, a considerable decline in Argyle pink diamond production has occurred, and it seems to be continuing in that direction. While Argyle diamonds do have a distinct color to them, it's their perceived prestige that makes them even more expensive than pink diamonds in general. Color is by far the most important pricing factor when it comes to fancy color diamonds and this certainly applies to those from the Argyle mine. Among all of the diamond colors available, pink is one of the rarest and probably the most popular. To assess price and value of Argyles, the purity of color is a large component. Most diamonds have at least one secondary color, so pure Argyle Diamonds are considered extremely rare and valuable. The higher the intensity or strength of the color, the more expensive the stone. Between the low supply, high demand and impending closure of the Argyle mine, Argyle diamond prices are likely to continue to feel upward pressure. Argyle's limited supply and the popularity of pink diamonds are only part of the puzzle, though; the company has done well to market the company's exclusive and prestigious Argyle Tender. For example, a diamond of 0.37 carat fancy intense pink round would have cost you less than $20,000 a few years ago while it would likely sell for triple that price now. As expensive as "regular" pink diamonds are, certified Argyle pink diamonds are even more expensive. While a 1 carat fancy pink (not a round) could go for roughly $140,000 to $180,000 depending on the quality of the color, a similar Argyle stone would easily fetch over $200,000. This is obviously a substantial price difference. While the argyle mine is typically associated with pink diamonds, it is also a major supplier of brown diamonds, especially the undeniably elegant champagne diamonds, which have been increasing in popularity in recent years. In fact, a whopping 80 percent of the diamonds unearthed here are brown. Diamond Investing News reported that after Rio Tinto announced the 2018 closure of the Argyle mine, brown diamonds suddenly became a hotter commodity. This is because when the mine closes, these diamonds will be more scarce on the market, and therefore more sought after. The decision to purchase an Argyle stone, in our opinion, hinges on what your motivations are. Are you simply searching for the best looking pink diamond for your money? If so, then a non-branded pink is probably your best bet. But if you're interested in the stone as a long term family heirloom or investment with prestige, an Argyle stone might be the best choice, especially considering the dwindling supply.